With real income falling for many consumers in recent years, the budget for eating out has been trimmed back for lots of households. And yet there is certainly no lack of hunger on the part of restaurant goers to seek out the best places to dine. Stagnating wages and increasing inflation provide the depressing backdrop, and yet according to data published late last year by research group NPD Group, the number of UK consumers choosing to eat out in 2018 is expected to grow substantially by 83 million visits. For bars and restaurants, the devil is in the detail however. By the end of next year, there could be five per cent fewer dinner visits compared with 2016 – a dip of more than 134 million – due in part to increasing numbers of take-outs and deliveries. Consumers are also increasingly more inclined to consider eating out for breakfast and lunch than they were a few years ago. In this context the task for restaurateurs is a complex one, made up of several challenges and demands that they ask themselves some serious questions including (but not limited to): what are we trying to offer; how can we appeal to multiple customer bases; and, crucially, how can our locations be made to work for a multitude of roles? The role of branding has arguably never been more important in what remains a potentially lucrative market. Getting this right, and carrying it through into all aspects of a bar or restaurant’s interior, has become a vital ingredient for success. On the following pages we take a look at a diverse range of examples of how restaurant owners are working with some of the very best creative minds to put together more than just a place to eat and drink, but instead to deliver a dining out experience that meets the considerable expectations of customers. From the long-established mid-market national chain restaurant that is reinventing its interior experience for a modern customer base, an Indian eatery that takes inspiration from the cuisine’s rich cultural heritage and blends it with a striking modern twist, through to a cutting-edge music industry brand looking to provide customers with a creative meeting and socialising space like no other, each example addresses some of the toughest design questions to come up with inventive, inspiring spaces to whet the appetite. Mark Bithrey founded hospitality design specialists B3 Designers in 2002. He has worked in developing branded architectural interiors in leisure-dominated agencies for more than fifteen years and the practice has developed a diverse and award-winning portfolio. Recent examples include the award-winning Carbon and Babel bars as well as Le Gavroche. Prior to founding B3, Bithrey worked for Din Associates, Revolution and Portland Design, where he gained experience in the retail sector, having completed projects for Selfridges, Virgin, Guinness and Ferrari. In addition to his work at B3, he has also held the post of marketing director at the British Institute of Interior Design (BIID), is an affiliate member of RIBA, and a member of the Chartered Society of Designers. FX: What is your own background and what was the path that led you to specialising in hospitality architecture and design? 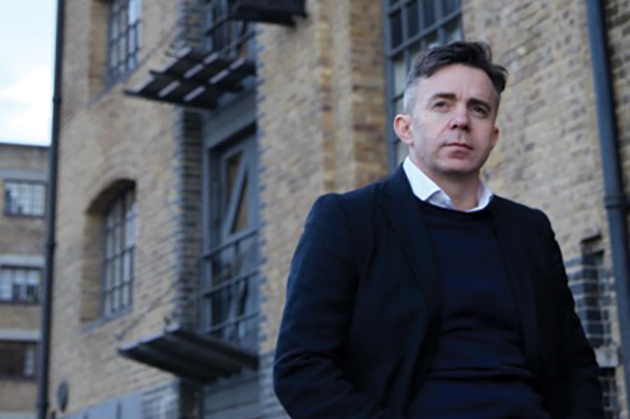 Mark Bithrey: Following my studies in architectural design, I worked in commercial interiors for 10 years and grew an absolute passion for working in hospitality. From this passion I decided to set out on my own and B3 Designers was created. We have now been running for over 15 years. FX: How much of what you do is based on core design principles that apply to every project, or is every single task entirely bespoke in every way? MB: We treat every design project like it’s new and don’t recycle ideas. There is so much to be learned from years of working with the best operators that you cannot ignore. It is important to allow the brief to lead the design; that way we find we can come up with something completely unique. We do question what we are doing all the way through the process, and ask ourselves – is this the best we can do, could it be better? 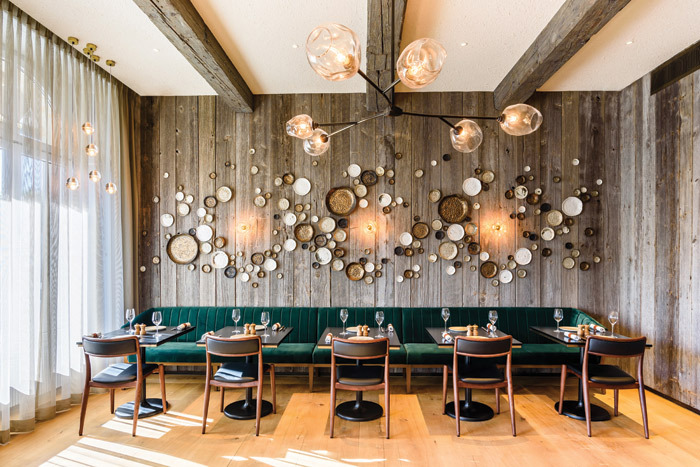 FX: What sets restaurant design apart from other interior fields? Presumably ‘brand consultant’ skills are at least as important as the design vision itself? MB: Restaurant design is a wonderful amalgamation of many disciplines, it calls on all your skills as a designer and as an entrepreneur. We have to think how the client thinks, so brand development is of critical importance. Restaurant design considers not only the aesthetic part of any interior production (inspiration, reinterpretation, styling, colour scheme application, furniture and accessories selection, finishes, and so on), but also the ‘where’ and the ‘how’ the interior will sit in a market, a neighbourhood or a community. It’s about digesting the genesis of the project, by interacting with the owner and observing a particular market (such as competitors and trends), then establishing guidelines to ensure the optimum application of the team vision to all interior assets. It also requires it to be flexible enough to evolve with the life of the venue (including seasonal aspects, longevity, and changing staff requirements), while the brand consultancy essential to guarantee this natural evolution in a long term, and considering a holistic approach to interior design. It’s therefore a precious asset to any restaurant design. With food and beverage within hotels, there are many factors to address, not least the current brand of the hotel and the brand of the destination restaurant that serves both the hotel and the local community. These two identities could be completely different or harmonise with each other. We are working more with hotels and helping them to develop unique and exciting food and beverage concepts that connect with the guest and with locals. This sector increasingly focuses on providing great, down to earth and innovative food and beverage offers. The opportunities here are huge. People want to connect to something local and independent when they are guests, rather than something more corporate. I’m really pleased that I chose to specialise in a sector that’s so creative, from the chefs through to the operators, where you can have conversation with clients who are passionate about their vision. For me, food and drink is a very interesting area to work in. There’s so much to learn, as new operators bring fresh and innovative ideas and concepts to the table and involve us to bring it to life. FX: Given the ever-evolving nature of consumer tastes and trends, how do you go about delivering longevity in the designs that you create? MB: We spend a lot of time researching what is entering the design world and we try to share with each other on a regular basis. When a new design, product or material enters the market, we communicate quickly with each other what its winning qualities are. If it is a new venue, we go out of our way to visit it and experience it. I think designing with longevity is a natural part of our DNA, as we question everything. The opportunity just to do something because it is fashionable never really happens. We want it to be classic and long lasting. We work with both modern and vintage depending on the requirements of the brief, and like pushing boundaries to a sensible extent that bring creativity and fresh ideas to the environment. We strive to be classic, so the design has longevity. We’d be very disappointed if it was ripped out in a couple or even five years. FX: What does the future hold for hospitality design in the short and long term? MB: The future of hospitality design is with the consumer and their expectations. Their knowledge of food and environment is well-informed with social media and education around food concepts. In the short term, consumers are far more savvy in their knowledge of the market competition available to them, and we always keep that in mind. 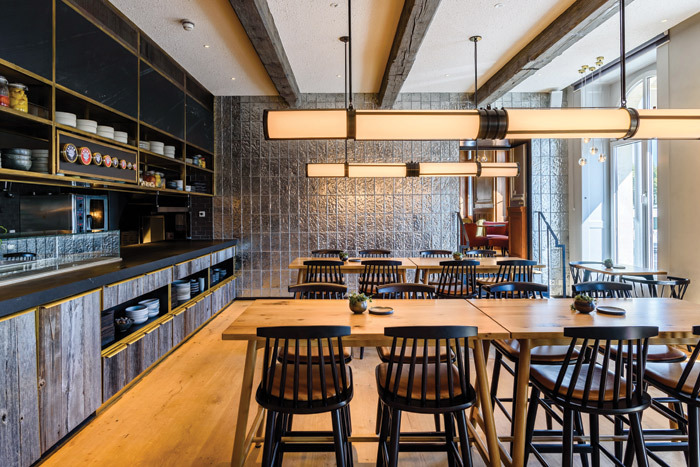 Hospitality design needs to appeal aesthetically and be operationally successful. In the long-term, brand image and reputation is of absolute value in keeping the space alive. Lately, consumers are more about accumulating experiences over goods. The emphasis is put on services, human interactions and the ability to share these experiences, so hospitality design already needs to be inclusive, surprising and must renew itself regularly. The neologism ‘Instagrammability’ is now part of the majority of hospitality projects. As an experience by essence can’t be possessed, sharing the moment with their community has become essential. It provides a challenge for the hospitality market to combine amazing food experiences for the savvy consumers in Instagramworthy surroundings. Consumers are increasingly aware of the available offer and overall market. Their choices are made based on lifestyle, ethical, even political considerations. In the long term, hospitality design would probably need to be even more transparent in order to appeal to a more demanding clientele. ‘Shortlisted for at the International Hotel & Property Awards hosted in Capri, this restaurant is called the Fiskebar (which in Danish means fish bar). We were invited to help a client who was converting a hotel into a Ritz-Carlton in Geneva. They needed us to help define a unique food offer and destination environment that would work for their hotel customers, but also be a strong pull for the locals. From the localised research, it was discovered that there was a strong possibility that Nordic-inspired food would be well received, and this became the main driver for the food concept in the restaurant. Once we had established the architectural constraints of the site, we were in a position to design and develop the space. We looked at the design for the North Eastern Hemisphere and worked out clear boundaries between what it is to be Scandinavian and Nordic. This in turn, helped us define our palette of materials and how best we could create an environment that complement and fitted with the design. For the dining spaces, we drew inspiration from the Nordic landscape, choosing textural woods and implementing a dark and moody palette. We combined bespoke ceramic artwork with luxurious brass details, and rich fabrics with opulent paint techniques. Operationally, we sat down as a team and looked at the best layout that could be achieved from the arrangement, and then analysed any possible weaker areas and worked them harder so that we could balance out the layout of the space. We also encountered a problem in that the entrance was in the middle of the space. In tackling that issue, we introduced an idea that would make the space work. We installed a Crittall-inspired wind lobby, which not only would protect diners from the harsher winter weather, but also create two unique seating environments either side of the entrance area; one for more fine dining and the other more casual. The casual area allowed us to raise the dining height to make the customer feel more comfortable. It was also the route to the secret cocktail bar.